Like us on Facebook and follow updates! Please see the form below to be added to our mailing list and also remember to check back to our web site for other updates. If you are a user of Facebook, we suggest you "Like" our page (see link below to the left) since we give more frequent status updates there. Do you wonder what our customers think about our marroni chestnuts? Please check out feedback from our customers from prior years at this page. We now have a photo gallery - please take a virtual tour of our chestnut orchard by clicking on the Photo Gallery button to the left. We have included a video of our orchard taken during harvest. Many long-time customers have been placing four or more chestnut orders each year for the past several years. Won't you please join our "family" of customers? Read an expert opinion! The food magazine, Eating Well, published an article in 2007 calling us "Our Favorite Chestnut Grower!" You may read the article by clicking HERE. The October 2005 edition of Sunset magazine suggested purchasing chestnuts directly from the grower to get the best quality and we agree! By buying your chestnuts directly from the grower, you're getting the freshest chestnuts possible. Our chestnuts have also been written about in articles in the Los Angeles Times, and several other publications. Please check out the testimonials from customers who have been very pleased with the quality of our chestnuts. The quality of our chestnuts and detail to customer service are the primary reasons our customers keep coming back. Each year many customers have placed four or more orders, with many buying more than 50 pounds each! Our fresh chestnuts are sweet and are enjoyed by everyone whether they prefer to prepare them by roasting, boiling, or including them in their favorite recipe. Some customers also enjoy eating our chestnuts raw. If you are concerned that you don't quite know how to cook chestnuts, don't worry because we include storage, preparation, and roasting instructions with all new orders. Our chestnuts are among the largest available anywhere and are favored over those found elsewhere by our established customers. Although hand harvesting requires extra work, we believe this helps maintain top quality. Our chestnuts are washed, sorted, and refrigerated immediately after harvest to ensure freshness for several months after harvest. 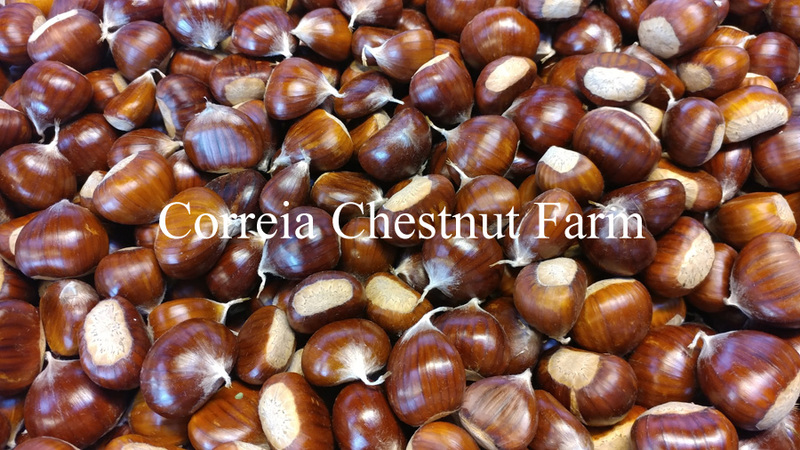 Buying directly from us, the grower, ensures you get the freshest chestnuts possible. In 2005 we first offered a limited quantity of Italian Marroni varieties grown on our family chestnut farm. They have continued to be an extremely popular item and, because of customer demand, in 2007 we began the process of grafting more of our trees to these varieties and now produce a large supply each year. Suggestion: Save our page to your favorites now so that you can easily visit our site again. Experience has shown that engine results vary daily.